Darwin returned to England in 1836. For the next 17 years, Darwin worked on the notes and specimens collected during his voyage. He made new observations. Artificial selection: He was interested in the success of breeders. These breeders develop the desired variations in plant and animal stocks. It is an artificial selection of traits. Darwin thought that similar selection may occur in natural world. Principle of population: Initially, Darwin was unable to find a natural process similar to artificial selection. 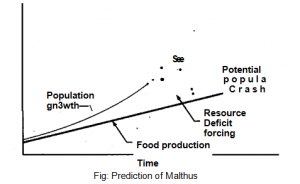 However, He read an essay by Thomas Malthus in 1838. It was entitled, Essay on the Principe of Population. 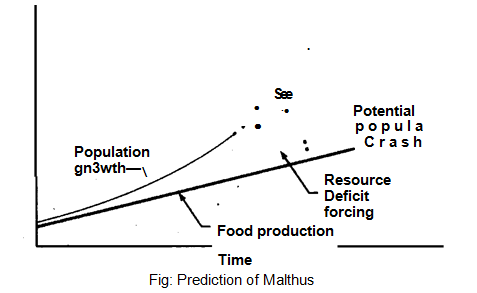 Malthus believed that the human population increases geometrically. But resources cannot increase with the increased demands. Therefore, population-restraining factors like poverty, wars, plagues arid famine Influence the population. Darwin realized that a similar struggle for survival occurs in nature. This struggle causes natural selection. Some traits are detrimental for an animal. Such animals cannot reproduce. So they are eliminated. A female oyster releases about 100,000 eggs with each ‘spawning. A female sea star releases about 1 million eggs each season. Thus A half million female sea stars can produce another million eggs. If this repeated over just a few generations, it will soon fill up the oceans. A female robin (bird) lays four fertile eggs each season. If each produces four more robins It will cause unimaginable resource problems in just a few years. Inherited variations arise by random mutation. Two individuals are never exactly alike. Some. Of these genetic variations give advantage to the individuals But some variations are harmful to an Individual. Some other, variations are neither helpful nor harmful. These variations are called neutral. These variations can be passed on to offspring. The resources are limited. Therefore, a constant struggle started. Many more offspring are produced than resources can support. Therefore, many individuals die. Darwin reasoned that these individuals have less adaptive traits. Some individual remain alive. These individual have adaptive traits. adaptive traits are transferred in subsequent generations. The organisms with maladaptive traits have less chance to reproduce. Thus the maladaptive traits come less frequent in a population. Finally they are eliminated..
How the tortoises and finches of the Galapagos Islands changed over time. It also explains how some animals like ancient South American horses can become extinct. Sometimes, a group of animals face a new environment. It cannot adapt. in the climatic changes, food shortages, and other environmental stressors. Therefore, they become extinct. Adaptation occurs when a change in a phenotype increases chance of an animal of reproducing successfully. It is expressed when an organism counters a new environment. It results in the evolution of multiple new groups. These groups exploit an environment in different ways. The terms adaptation and fitness or adaptedness has different meanings. Adaptation: Adaptation is a process of change in evolution. 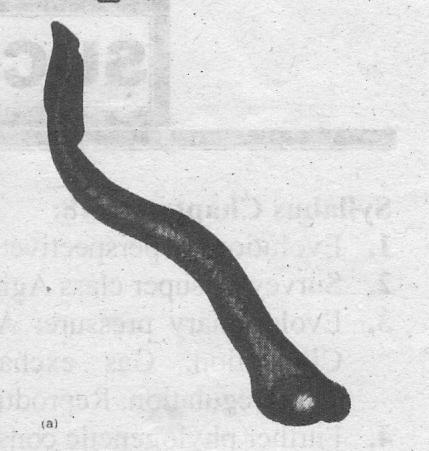 The adaptations are defined as characteristics that increase the potential of an organism or species to successfully reproduce in a specified environment. Adaptedness or fitness: Adaptedness or fitness is a measure of the capacity for successful reproduction in a given environment. every characteristic is an adaptation in some environmental situation. It is Willingly concluded that every a structure is now performing a specific function for which it has been made. Therefore, it is taken as an adaptation. It is a, wrong Concept. It shows that evolutionary adaptations lead to perfection. Alfred Russel Wallace (1823-1913) was an explorer of the Amazon Valley (South America). He led a zoological expedition to the Malay Archipelago (group of stands). This area has great biogeographical importance. Wallace also studied evolutionary change. He read the writings of Thomas Malthus on human populations. He synthesized a theory of evolution similar to Darwin’s theory of population. He wrote the details of his theory to Darwin for criticism. Darwin recognized the similarity of Wallace’s ideas. He prepared a short summary of his OW theory. Both Wallace and Darwin’s papers were published in the journal of the Proceedings of the Linnean Society in 1859. Darwin then shortened a ma userpt arid published it as On the Origin of Species by Means of Natural Selection in November 1859. The 1,250 copies prepared in the first printing. All were solid ( the first day.). Similarities, were present in the theories of Wallace and Darwin. But there were also important differences. 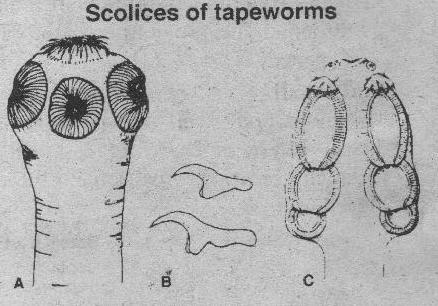 Wallace believed that every evolutionary modification was a product of selection. Therefore, it is adaptive for the organism. But Darwin admitted that natural selection can not explain all evolutionary changes. He did not accept adaptive significance for every modification. Wallace believes that it is against morality to give judgments on evolution. Therefore, he could not give clear idea of evolution. But Darwin gave the concept of evolution. Thus Darwin’s ideas are closer to the views of most modem scientists. Wallace’s work motivated Darwin to publish his own ideas. But the theory of natural selection is credited to Charles Darwin. Darwin’s performed hard work for years. He accumulated a large number of evidences. Therefore, Wallace himself attributed the theory to Darwin.